The ascent of Nanda Devi necessitated fifty years of arduous exploration in search of a passage into the Sanctuary. The outlet is the Rishi Gorge, a deep, narrow canyon which is very difficult to traverse safely, and is the biggest hindrance to entering the Sanctuary; any other route involves difficult passes, the lowest of which is 5,180 m (16,990 ft). Hugh Ruttledge attempted to reach the peak three times in the 1930s and failed each time. In a letter to The Times he wrote that 'Nanda Devi imposes on her votaries an admission test as yet beyond their skill and endurance', adding that gaining entry to the Nanda Devi Sanctuary alone was more difficult than reaching the North Pole. In 1934, the British explorers Eric Shipton and H.W. Tilman, with three Sherpa companions, Angtharkay, Pasang, and Kusang, finally discovered a way through the Rishi Gorge into the Sanctuary. When the mountain was later climbed in 1936 by a British-American expedition, it became the highest peak climbed by man until the 1950 ascent of Annapurna, 8,091 metres (26,545 ft). (However higher non-summit elevations had already been reached by the British on Mount Everest in the 1920s.) It also involved steeper and more sustained terrain than had been previously attempted at such a high altitude. The expedition climbed the south ridge, also known as the Coxcomb Ridge, which leads relatively directly to the main summit. The summit pair were H.W. Tilman and Noel Odell; Charles Houston was to be in place of Tilman, but he contracted severe food poisoning. Noted mountaineer and mountain writer H. Adams Carter was also on the expedition, which was notable for its small scale and lightweight ethic: it included only seven climbers, and used no fixed ropes, nor any Sherpa support above 6,200 m (20,300 ft). Eric Shipton, who was not involved in the climb itself, called it "the finest mountaineering achievement ever performed in the Himalaya." 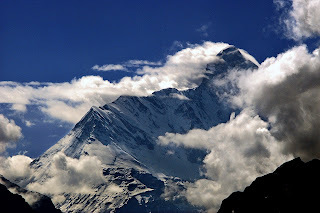 After abortive attempts by Indian expeditions in 1957 and 1961, the second ascent of Nanda Devi was accomplished by an Indian team led by N. Kumar in 1964, following the Coxcomb route. Attempts were made from 1965 to 1968 by the Central Intelligence Agency (CIA), in cooperation with the Indian Intelligence Bureau (IB), to place a nuclear-powered telemetry relay listening on the summit of Nanda Devi. The device was designed to intercept telemetry signals from Chinese missile test launches in Xinjiang Province, in the period of relative infancy of the Chinese missile program. As a result of a massive snowstorm during the initial climb, the device was lost in an avalanche and, so far as is known, has never been found. As a result of this activity, the Sanctuary was closed to climbing by foreign expeditions during much of the 1960s, and was not re-opened until 1974. In 1976, a large Japanese Indian expedition set up camp with the stated purpose of completing the two peak traverse. This was accomplished in efficient fashion by two members and several members climbed both the East and West peaks. A difficult new route, the northwest buttress, was climbed by a thirteen-person team in 1976. Three Americans, John Roskelley, Jim States and Lou Reichardt, summitted on September 1. The expedition was co-led by Louis Reichardt, H. Adams Carter (who was on the 1936 climb) and Willi Unsoeld, who climbed the West Ridge of Everest in 1963. Unsoeld's daughter, Nanda Devi Unsoeld, who was named after the peak, died on this expedition. In 1980, The Indian Army Corps of Engineers made an unsuccessful attempt. In 1981, the first women stand on the summit as part of a mixed Indian team, led by Col Balwant Sandhu. Rekha Sharma, Harshwanthi Bisht and Chandraprabha Aitwal, partnered by Dorjee Lhatoo, Ratan Singh and Sonam Paljor respectively, climbed on three ropes and summitted consecutively. The expedition was notable for the highest ascent ever made by Indian women up to that point in time, a descent complicated by retinal edema and vision loss in the climbing leader and a subsequent failed claim of a solo ascent by a later member of the same expedition. 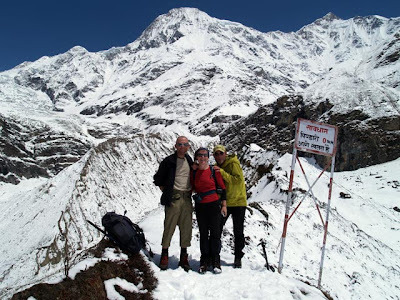 All three women went on to Everest in 1984 but did not make the summit although Sonam Paljor and Dorjee Lhatoo did. Dorjee Lhatoo climbed Nanda Devi East in 1975 and participated in the 1976 Indo-Japanese expedition as well. This was followed in 1981 by another Indian Army expedition of the Parachute Regiment which attempted both main and East peaks simultaneously. The expedition had placed a memorial to Nanda Devi Unsoeld at the high altitude meadow of Sarson Patal prior to the attempt. The successful attempt lost all its summiteers. In 1993, a forty member team of the Indian Army from the Corps of Engineers is given special permission. The aim of the expedition is multifold - to carry out an ecological survey, clean up the garbage left by previous expeditions and to attempt the peak. The team included a number of wildlife scientists and ecologists from Wildlife Institute of India, Salim Ali Centre for Ornithology and Natural History, World Wide Fund for Nature and GB Pant Institute for Himalayan Environment and Development amongst others. The expedition carried out a comprehensive ecological survey and removed, by porter and helicopter, over a thousand kilograms of garbage right out of the park. The team also successfully scaled the peak placing five summiteers, namely Amin Nayak, Anand Swaroop, G.K.Sharma, Didar Singh and S.P. Bhatt, on top. Nanda Devi East was first climbed in 1939 by a four-member Polish expedition led by Adam Karpiński. They climbed the south ridge, from Longstaff Col; this is still the standard route on the peak. The summit party were Jakub Bujak and Janusz Klarner. Karpiński and Stefan Bernadzikiewicz died later in an attempt on Tirsuli. The first attempt to traverse the ridge between the main summit and Nanda Devi East resulted in the death of two members of a French expedition in 1951. Team leader Roger Duplat and Gilbert Vignes disappeared on the ridge somewhere below the main summit. Tenzing Norgay was in a support team on this expedition; he and Louis Dubost climbed Nanda Devi East to look for the missing pair. Some years later Tenzing was asked what was the most difficult climb he ever did, expecting him to say Mount Everest; he surprised his interlocutors by saying Nanda Devi East. An Indo-French East-West Traverse expedition, back for some unfinished business, in 1975 successfully put several members on both peaks but the traverse remained unconsummated until the following year. 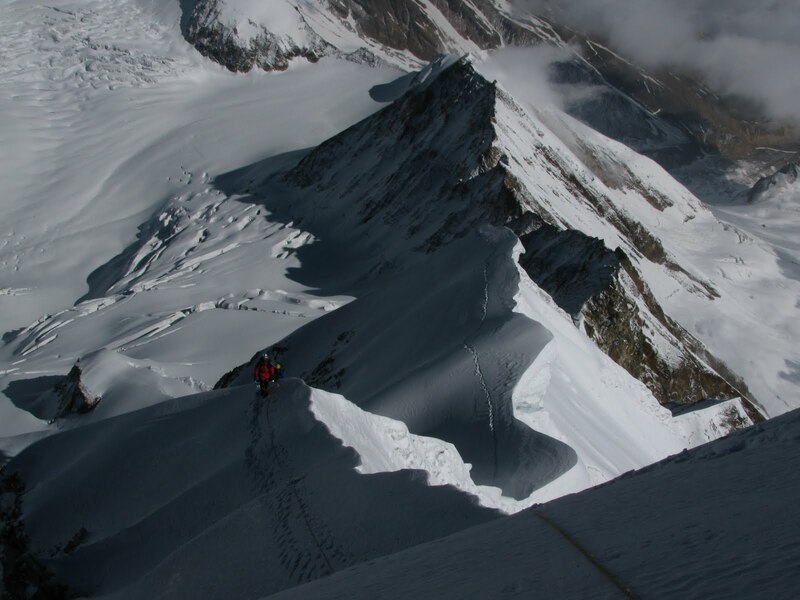 The East Peak was climbed by Chamonix climbers Walter Cecchinel, Dorjee Lhatoo and Yves Pollet-Villard, climbing lightweight and unroped from Camp IV. In 1981, an Indian Army expedition followed the same line. Phu Dorjee Sherpa, a climbing instructor from the Himalayan Mountaineering Institute and his partner fell from the vicinity of the final ice field. It is assumed that they summitted. The standard approach to the south ridge route, from the Milam Valley to the east, passes through Lawan Glacier via Lawan Gad and thence to Longstaff Col. The trek to base camp goes through the villages of Munsiyari, Lilam, Bogudiar, Martoli, Nasanpatti, and Bhadeligwar. An alternate route climbs the southwest face, from a base camp inside the Sanctuary. 1936: The first ascent of Nanda Devi by Odell and Tilman. 1939: First ascent of Nanda Devi East by Klarner, Bujak. 1951: Attempted traverse and death of Duplat and Vignes. Second ascent of Nanda Devi East. 1957: First Indian attempt on Nanda Devi led by Major Nandu Jayal. 1964: Second ascent of Nanda Devi by Indian team led by N. Kumar. Nawang Gombu, first man to climb Everest twice, climbs main peak in between his Everest climbs. 196? : Covert ascent by Indo-American expedition? 1975: A 13-member Indo-French expedition led by Y. Pollet-Villard including Coudray, Renault, Sandhu, and Chand ascend the West Peak. Pollet-Villard, Cecchinel and Lhatoo climb East Peak but do not complete traverse. 1976: Fifth successful ascent by 13-member Indo-American expedition. Three members (John Roskelley, Jim States, Lou Reichardt) reach summit despite extremely adverse conditions. Nanda Devi Unsoeld died from acute mountain sickness. 1976: A 21-member Indo-Japanese team approaches the south ridges of main peak and Nanda Devi East simultaneously, and achieves the first traverse, going from Nanda Devi East to the main summit. 1980: An Indian Army expedition by the Corps of Engineers led by Jai Bahuguna unsuccessfully attempts the peak driven back by bad weather from 7600m. 1981: An Indian Army expedition by the Parachute Regiment attempts both main and East peaks simultaneously but has the highest ever number of casualties on the mountain. 1981: A second Indian-led expedition places women climbers on the peak. 1993: Indian Army team from the Corps of Engineers, led by V.K. Bhatt, succeeds in placing five summiteers on top, including Amin Nayak, Anand Swaroop and G.K. Sharma. After the re-opening of the Sanctuary in 1974 to foreign climbers, trekkers, and locals, the fragile ecosystem was soon compromised by firewood cutting, garbage, and grazing. Serious environmental problems were noted as early as 1977, and the sanctuary was closed in 1983. Currently, Nanda Devi forms the core of the Nanda Devi Biosphere Reserve (which includes Nanda Devi National Park), declared by the Indian government in 1982. In 1988, Nanda Devi National Park was declared a UNESCO World Heritage Site, "of outstanding cultural or natural importance to the common heritage of humankind." 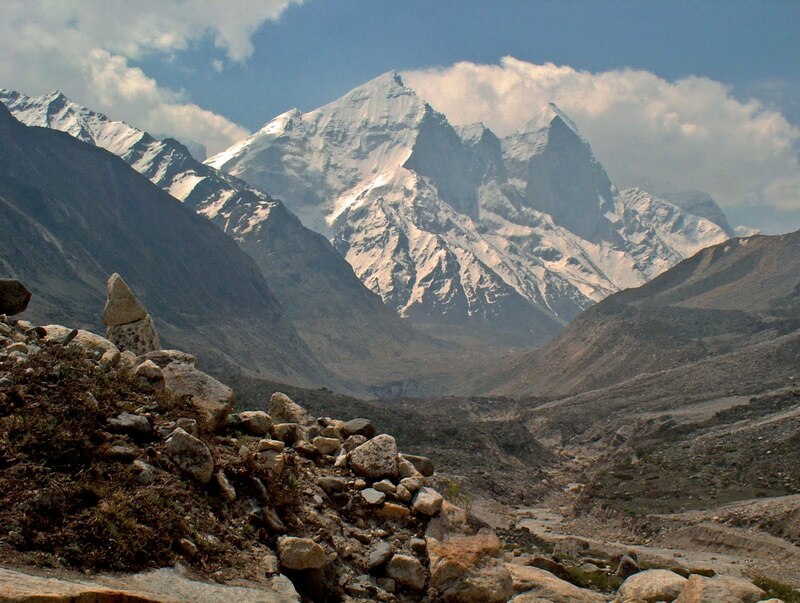 The entire sanctuary, and hence the main summit (and interior approaches to the nearby peaks) are off-limits to locals and to climbing expeditions though a one-time exception was made in 1993 for a 40-member team from the Indian Army Corps of Engineers to check the state of recovery and to remove garbage left by prior expeditions. Nanda Devi East remains open from the east side, leading to the standard south ridge route.